I'll keep this short. Please read: URGENT! Our kababayans in many parts of Visayas are in desperate need of our help, and in response to this grave extraordinary situation, my friends from BookSail and I are collecting donations of food and supplies. Since children and women are the most vulnerable in situations like this, we would like to prioritize their needs. For cash donations, please forward the money to Philippine Red Cross. Once deposited, please let me know so I can document and acknowledge your donation here in my blog. Thanks! All donations that will be gathered from this relief effort will be forwarded on Sunday, November 17, to GMA Kapuso Foundation for distribution to the affected areas. Follow our Facebook page #LUVisayas, and your post UNSELFISH SELFIE with the sign #LUVisayas which will be our statement of love and support for everyone affected by this massive devastation. They need us now, not tomorrow, now. Please help! Donations thru #LUVisayas as of today, November 20, 2013. 4 bags of used clothes, blanket and towels. 5 sacks and 5 bags of used clothes, jacket, towel and blankets. 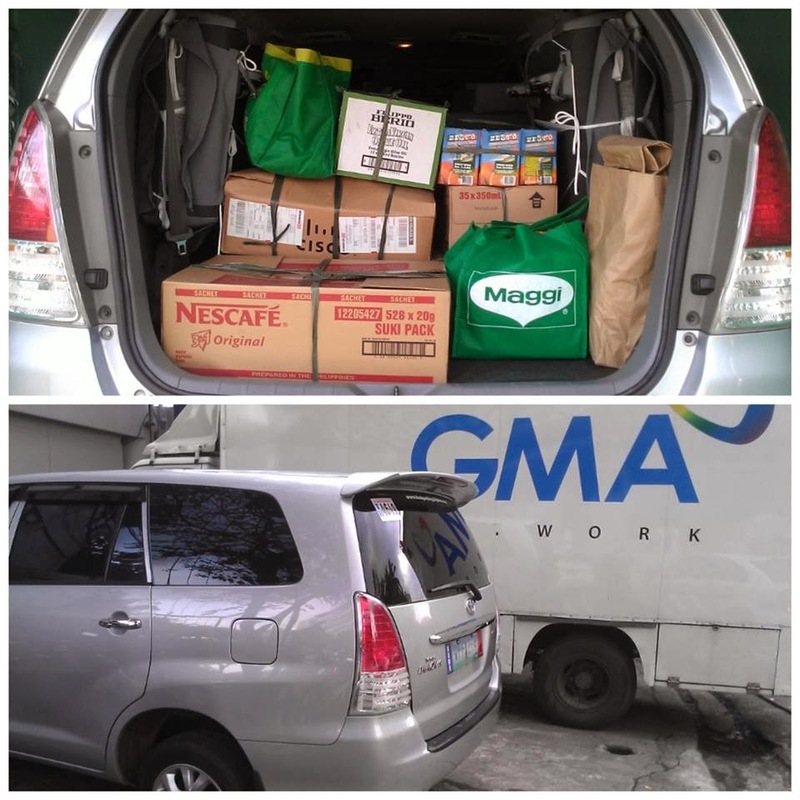 Half of the donations are now delivered to GMA Kapuso Foundation for repacking and distribution. 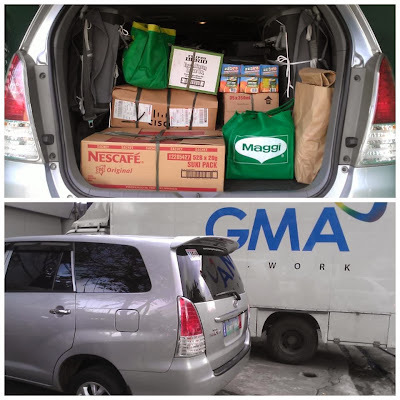 Three vans loaded with goods was delivered to Villamor Air Base last Saturday, Nov. 16, many thanks to Marissa Fernandez Pajudpod and friends! We appreciate everyone who helped us. To the donors who responded immediately to this relief drive, thank you so much. There's still much to be done, many people in the disaster zone still waiting for help. Please help in anyway you can. This relief drive continues... Thank you. Ayos ini. 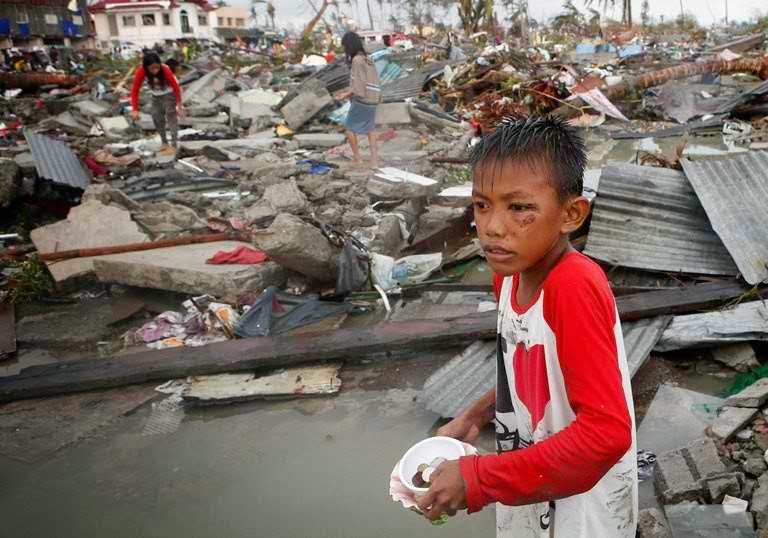 Gusto ko ngani magvolunteer sa relief distribution. Sana may balikan lang sa weekend. oo nga eh, sana pwede kaso mukhang hirap pa din mapenetrate yung mga lugar till now.